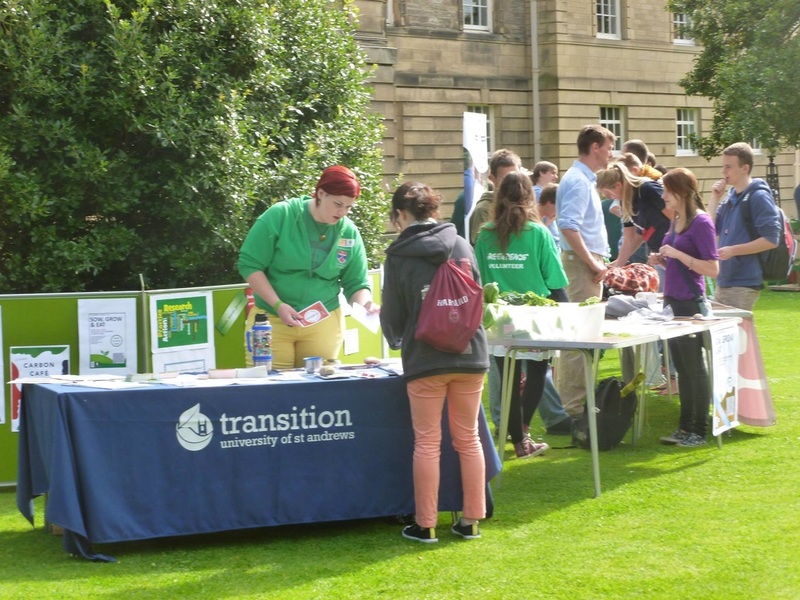 Transition University of St Andrews is a unique coalition of students, staff and local residents that have come together under the Transition Town banner to undertake projects in the St Andrews area. 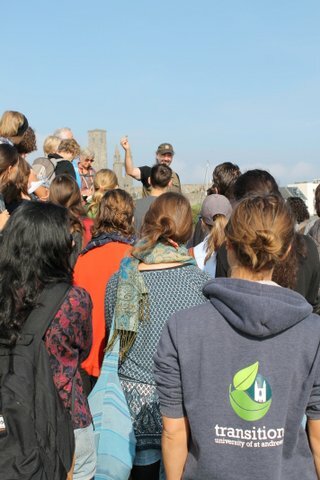 Initiated by students from the People and Planet group in 2009 we were successful in gaining a series of Climate Challenge Fund grants alongside considerable support from the University. We engage over 3000 people a year on projects involving waste, energy, transport, local economy, skillshare and food within our community. Through our initiatives we aim to help in the transition towards a healthy, happy, mindful and sustainable St Andrews. The high turnover within our group, as students move on after graduation, provides a source of continual renewal and reinvigoration: new students come forward whilst our “leavers” take their learning and enthusiasm for Transition to other parts of the world. These volunteers coupled with our small employed staff body have bolstered our running well over 400 separate events since 2013. We have also created partnerships that strengthen our ties within the community and enable us to better gather the resources needed to transition our town. Our current project with the St Andrews Botanical gardens aims to establish a new community space where skillshare type activities can take place easily – a current major hurdle in getting “stuff” done! Being based in the University offers access to resources, experience and knowledge but can also cause locals to feel that Transition UStA is not for them. To tackle this friction, we created working groups to bridge the community by delivering events and activities in venues off campus. We have actively sought to strengthen these relationships further by continually hosting events that appeal to students and locals alike whilst engaging the town’s decision making bodies such as the community council.